If you’ve been following Broods since 2014, this album may take a little getting used to. 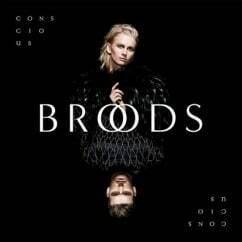 While the sophomore effort from the New Zealand-born brother/sister duo Broods may be called Conscious, the opening notes of the opening track will suggest that they should have called it Confident—although methinks a certain pop star wouldn’t be so happy with them if they’d done that. Conscious pulsates with confidence. 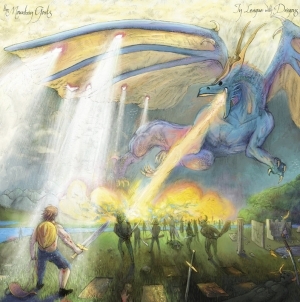 From Georgia Nott’s vocals, to Caleb Nott’s musicianship, to the overall vibe of the record, there is an air of a steadfastness-of-belief in singer and musician’s abilities as compared to the self-titled EP and 2014’s Evergreen. The results are powerful, too. But that confidence doesn’t necessarily translate into an overall improvement. Progression, yes. A better record, maybe not. What made Broods’ hit single “Bridges” so fantastic a few years back was the ethereal, spare electronics that matched Georgia Nott’s light, airy vocals perfectly. It may be a little emotionally exploitative with its beautiful melancholia, but it is a tremendous tune worthy, at least, of a 99-cent purchase. 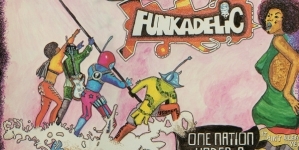 Of course the single was included on both their debut EP and subsequent full length, and it matched, for the most part, with what seemed to be their sound: subdued electro pop with bursts of energy more focused on the perfect mix of vocals and music instead of making speaker-bumping singles—which is what the duo’s newfound confidence more or less translates into intentionally or not. Conscious shows Caleb Nott bringing more traditional instruments into the mix. There’s some guitar, some piano, some organ. Georgia Nott’s voice has shifted away from a sprite-like whisper of a vocal style to a fuller, bigger, more traditional radio-pop timbre. And, perhaps mostly responsible for this shift in sound, producer Joel Little (Lorde, Ellie Goulding) lent his more industrial and mainstream pop leanings to the proceedings. And, look, none of this is a bad thing. 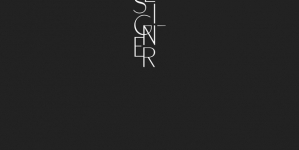 This is a group with exceptional talent and a promising future looking to make themselves more marketable. The shift in focus is just a bit jarring. The lead single is just that in more ways than one. “Free” starts Conscious off in a big way, and it’s the most “single-y” track on the record, which is to say it sounds more or less like an Ellie Goulding tune that’s ready to set fire to the airwaves. 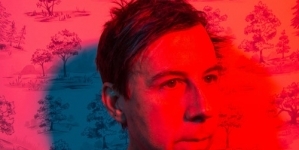 The intro and verses have a sort of steamy, sensual attitude that was also not present on Broods’ earlier work which then explodes into a chorus that, if it doesn’t hook you through the lip right away, will soak into your brainmeat for a later, random appearance that will, as you can guess, then hook you through the lip. The next track, “We Had Everything,” strikes a nice balance between the new Broods and the old, but the beat definitely leans more toward a “Free” sound. And, yes, most of the rest of the album—save for a slow jams—remain in that sonic orbit. Big, confident, less Broods than you would hope, but solid nevertheless. Some of the highlights of Conscious come from the slow, steady and dramatic “Heartlines,” the album’s first ballad “Freak of Nature” featuring Tove Lo, the jumping, clapping, singing and soaring “Recovery” and the more or less neo-Taylor Swiftian “Full Blown Love.” Check the title track for the perfect sequel to the vibe on “Free” and a really solid closer for this electronica-turned-pop record. It’s brimming with all the confidence needed to entice listeners and all the tasty pop bits needed to take Broods over the top and get them into larger markets. But, as we all know, sometimes when artists go for gold they sacrifice a bit of themselves. Unfortunately, that pop-confidence, the bigger soundscapes and new attitude have that result. Conscious is a well done pop record worthy of many a spin. New fans will get a major charge out of it. 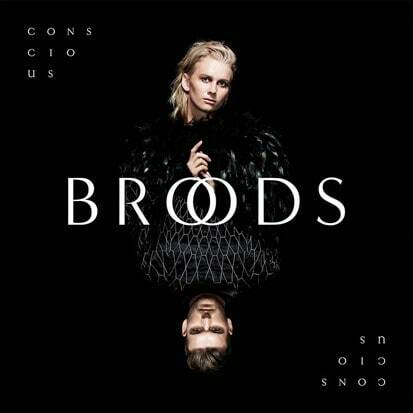 But if you’ve been following Broods since 2014, this album may take a little getting used to.